Amy is a Partner in the firm of Sutton Frost Cary LLP. She has 18 years of experience in public accounting, and is the firm’s designated not-for-profit Partner. 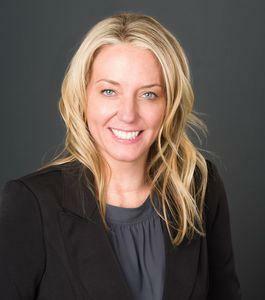 She has extensive experience in all phases of the audit process and is especially active in the not-for-profit sector. In addition to financial and compliance audits, her experience includes preparation and review of Form 990 filings and tax research and consulting for exempt entities. She is responsible for advising clients on accounting policies and technical issues and facilitating year round client communications. Her industry experience also includes governmental entities, healthcare, construction, information technology and employee benefit plans. Amy is a member of the American Institute of CPA’s, Texas Society of CPA’s and the Dallas Chapter of CPA’s. She is the Treasurer of North Texas Higher Educational Authority, Inc. and is a Finance Committee member for Society for Arts, Music, Architecture, Sciences DBA SPARK!. She teaches board training seminars and instructs CPE courses related to Single audits and other issues surrounding not-for-profit organizations. Amy graduated in 1994 from the University of Texas at Arlington and is a graduate of Leadership Arlington. She and her husband Stuart have two children, and she enjoys watching her kids play sports and being outdoors.